The following link and quotes are from an extensive piece about both Stephen Gaskin and the gender roles on The Farm Commune. Those looking for insight into various details should read the entire chapter, which was well researched. As a former member of The Farm, I can attest to the accuracy of many of the quotes and suppositions. It’s fair to say this particular online book explores many facets of The Farm in a deeper manner than many others. 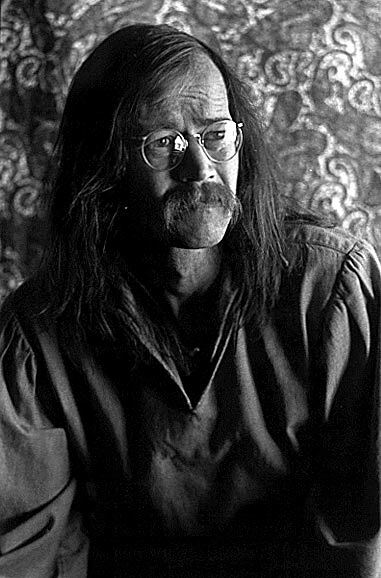 Stephen Gaskin – well known founder of the The Farm Commune – died peacefully surrounded by family on July 1, 2014. As a former resident of The Farm, I am in touch with hundreds of members and extended family and friends – most of whom consider Stephen to have been a force for good in their lives. Stephen married my wife and I and we had our first child on The Farm – using The Farm midwives. I learned my first trades on The Farm and was able to parlay that knowledge into a number of successful careers. A link to the current Farm Community. “Dazzle them with your Fancy Footwork” is a quote I attribute to Stephen – not sure if I just heard it or if it was written. “In every walk of life we take care of each other and owe all that we achieve to friends and family. How we treat other humans is much more important than creating products and wealth. Our principles in life should always be much more important than that. As much as we can teach others, our actions and examples pass on the goodness in our heads to others. I think the Woz summed it up for many of us. Inspiration when we were deciding what kind of people we wanted to be…. Note – picture below is not posted on this site – it’s from Robert Altman, a famous photographer. I was born in Philadelphia in November of 1953 – a baby boomer, for certain, albeit on the younger end of that generation. Although many periods in history are full of upheaval and change, there is something unique about the speed and severity of the changes which started to occur as I entered primary school. The sequence of events are fairly well known, but to see them close at hand as a growing child was quite alarming. I was 7 years old when JFK was elected and definitely remember all the hubbub. The country was ecstatic over our young and vibrant President and his beautiful family. The space race was on and I distinctly remember the feeling of pride as the first astronauts were conquering the unknown of space flight. The heroes of my youth were folks like Chuck Yeager, who flew the X-15 and John Glenn, the first man to orbit the earth. Those were heady times – but they seemed to come crashing down with the assassination of JFK. Most every member of my generation remembers exactly what they were doing at the very moment – and then, sadly, in the days that followed. I was in third grade at the time and remember our teacher sitting down and crying and telling us all. We kids also cried and were sent home early. The nation was transfixed as we watched events unfold from there. For many Americans, this was the end of innocence – and while it may have been a faux innocence, it was never the less quite real to those of us who were children at the time. Music was a very important aspect of the counterculture – in fact, it may have been the single most important communication medium of the time. Virtually every home in the USA had a record player – and most people had multiple radios as well as TV – although Television was not the main medium for music. The rise of FM radio in the mid 1960’s assured better signal strength and much higher quality. Book have been written on the music of the 60’s so we will not attempt to replicate that here. Rather I will lay out some of the major musical types, basic timelines and other facts and opinions which will give a historical overview. For ease of classification, I will break down 60’s music into genres – although, as we will see, the music soon transcended any narrow definitions. What can be said is that the majority of the music is staunchly AMERICAN and that, by and large, it ended up conquering the entire world. April of 1970. I was only 16 years old at the time. The world was in turmoil due to the social and societal changes brought about by the 60′s. The Vietnam war, race riots, killings of Dr. King and Malcolm X, LSD and Woodstock were all relatively recent news. It was a time which is difficult to explain to those who did not live through it. The closest I can come is to say that it seemed like virtually everything was up in the air. Any day could have brought the “revolution” that would have split the country even further apart. The “generation gap” was in full swing. The world that our parents were born into was formed by the relief they felt at the end of a World War and the pleasure they received as the emerging middle and upper class in a post-war American full of prosperity. We “baby boomers” felt that there must be more to life than having a nice spouse, home and car. Perhaps it was the closer communication with others brought about by television, satellites and other high technology. Whatever force was behind it, there is little doubt that our generation sensed that something was VERY WRONG and was attempting to learn and perhaps take action to help solve some of these modern problems. When did the Hippie Era End? It could be said that the mass counterculture movement ended in the time period 1970-1973 due to various factors. 1. Vietnam War winding down – protesting of the war was some of the glue that held the movement together. 2. Drug burnout – those hippies whose path involved substance use often descended into harder drugs and alcohol, both of which can limit the ability to think and function in the creative manner common to the earlier beats and hippies. 3. Growing up – moving on – By 1972, hippies had achieved many of their initial goals of “Turn on, tune in, drop out” – now it was time for them to move on and prove, in real life, that their ideals may work. The 1970’s, therefore, became a time where the Baby Boomers took various paths to start their families and careers. The most successful commune in US History, The Farm, started in the early 1970’s as a way to bring ideals of the counterculture into work and practice. The 1970’s also saw the birth and rebirth of various religious and spiritual movements including Eastern Religions such as Buddhism. Many cults and other such groups (EST, etc.) also formed during this period. 4. Mainstreaming – Many baby boomers decided they were not, after all, hippies…and decided to join the mainstream culture or further pursue of a career. Many carried some of the ideals of the 1960’s forward by choosing vocations in social services, medicine or other “right livelihood occupations. Author craigifarmPosted on May 26, 2014 Categories Hippie History, UncategorizedTags 1970's, history1 Comment on When did the Hippie Era End? Note – as is mentioned in some other posts here, my wife and I lived on a commune called The Farm for a few years in the mid-1970’s. I will write up some of my own stories and outlooks on the experience, but for those who want to know what we were about, the following story by a fellow “farmie” should answer…. In the dance between developing individual consciousness and a newly evolving culture, small groups that are in some way isolated from the larger culture can play an important role in creating, incubating and beginning to stabilize the new ideas and values. As the Post Modern paradigm emerged in the 70’s and 80’s, The Farm, a hippy spiritual community was one such group. Because of its size, outreach, and spiritual depth, The Farm’s impact was significant. Post Modern Culture had its beginnings more than a century ago, but the turbulent years which included the Cold War, the Vietnam and Korean Wars, the assassinations of the Kennedys and Martin Luther King, the Kent State killings, and much more ignited a cultural revolution that led many baby boomers to question the status quo, and to search for some new meaning to life. Travel any highway and you would find young people and some not so young along the road, leaving their middle class homes or aborting their college educations and looking for something new. Modern Consciousness and Culture had a long run with its roots in the 16th century, but as we passed the middle of the 20th century, many came to feel that things weren’t working so well any more.